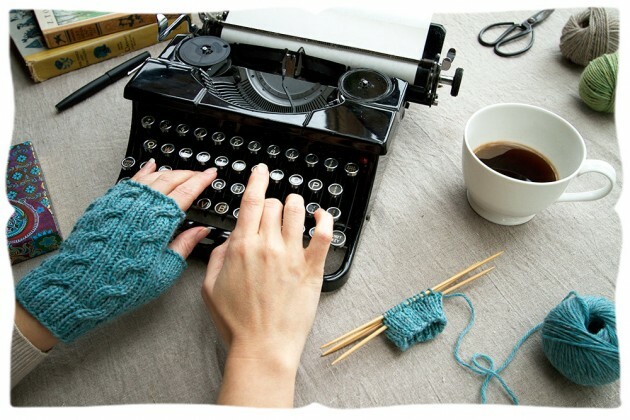 Like “Cabled Handwarmers” this tutorial is divided into a set of nine short pieces, all of which you can watch right next door at appleturnover’s old school, anytime you like. I’d love to hear what you think. If you just have a minute, you might enjoy the preview of all four movies in the Knitting Series. I’ve just finished knitting up a long pair of cabley mittens in a steel grey yarn, and they’re just right, they’ll serve me very well for a few years. 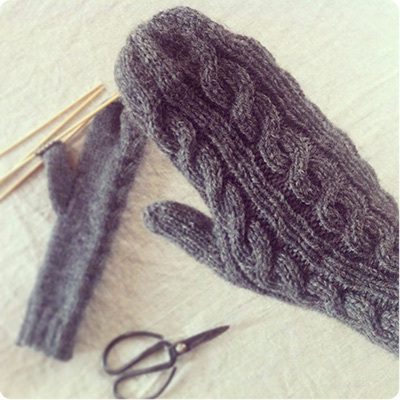 Every winter I wish I’d started knitting things for us the months before, so I think anytime is great to start learning to knit mittens. Study with the new movie! There are a choice of colours in the appleturnovershop!, and downloadable patterns too. Well, I wonder if you’ve ever worn a cabled sweater and marvelled at the twisting pattern, and if you might like to see how they’re made? Or, better yet, you’d like to try it yourself! This movie is a tutorial for both the Cabled Handwarmers and Cabled Mittens projects. It’s also got a very favourite song in it, which we realised is also in a movie we love, Beginners. Fitting, then, as I adore cable-knitting. Learning how to cable-knit is one of those pleasingly simple techniques, like plaiting hair or weaving homespun yarn, which gives a surprisingly satisfying result that looks more complex than the process truly is. It captures the eye like a good melody captures the ear. I hope you enjoy the little movie. Watch them all in the old schoolhouse (to your left) and mail-order your materials from the shop.